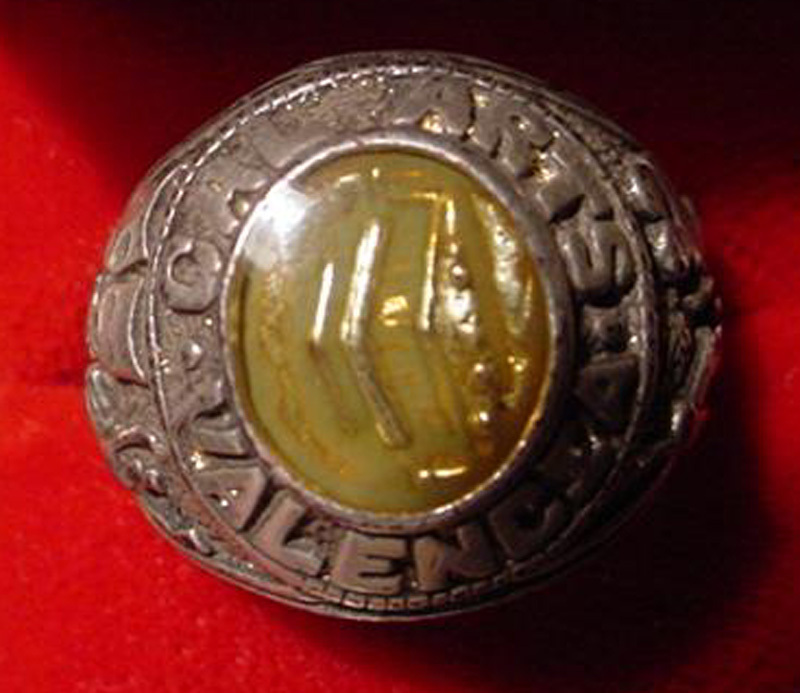 SCVHistory.com HB0001a | CalArts | 2000 Alumni Reunion Class Ring by Brad Oldham, Gift of Paul Reubens. 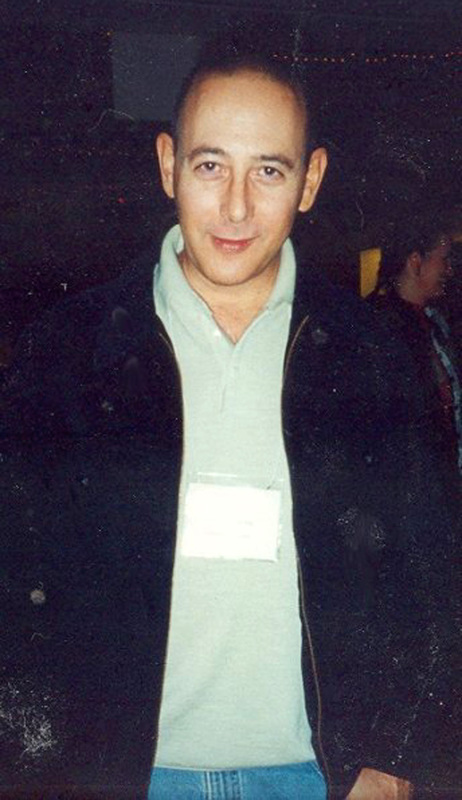 Reubens at the 2000 reunion. Photo: CalArts. 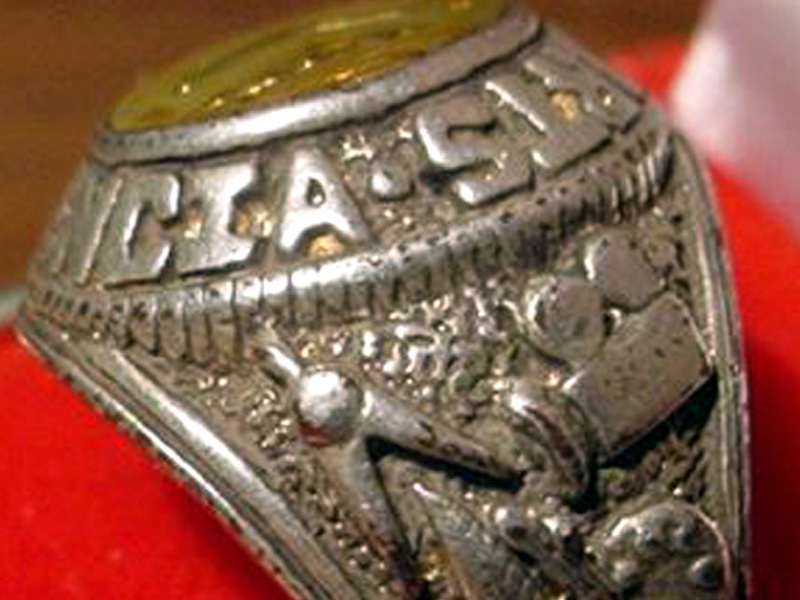 A "class ring" given by actor Paul Reubens (Pee-wee Herman) to attendees of California Institute of the Arts' 30th Anniversary Alumni Reunion in 2000. Reubens, who studied theatre at CalArts from 1971 to 1975, chaired the reunion committee. "CalArts never had a homecoming — or a football team," Reubens told the L.A. Daily News. "That's the joke. The event was a full-scale spoof on the homecoming tradition." Highlights included carnival rides, a fireworks display and a midnight pool party, and participants took home a Jostens-style ring that Reubens ordered from Brad Oldham, a metalwork sculptor in Dallas, Texas. "Cal Arts • Valencia" appears around a center stone (composition unknown). One side features icons representative of theatre, music and dance, along with the date, 1970, which was the year CalArts opened at a temporary campus in Burbank. The other side features icons representing drafting, film/video, writing (critical studies) and art (painting), along with the current date, 2000. The inside reads: "Designed by Brad Oldham for Paul Reubens." As of 2015, this example is owned by photo contributor Terry Prather, who acquired it second-hand. 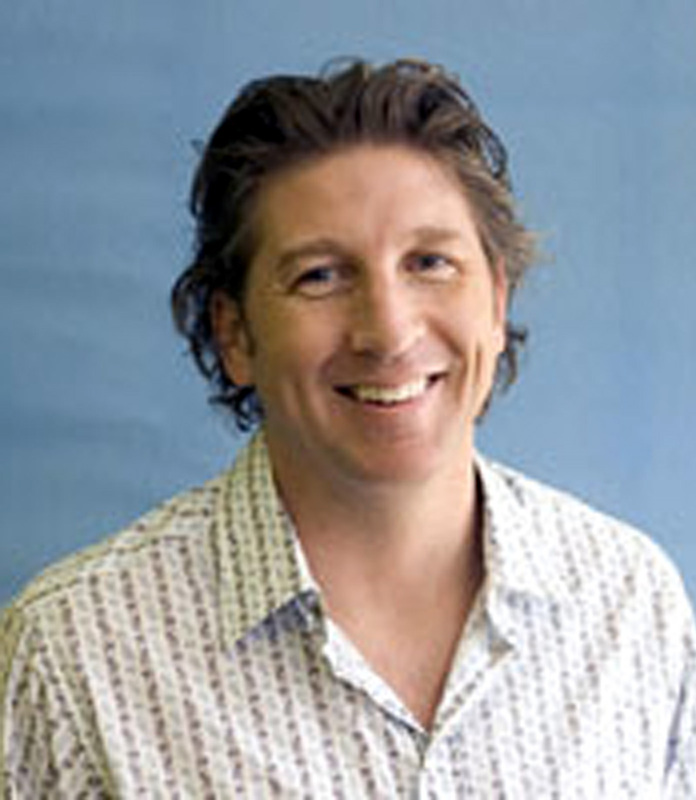 About Brad Oldham International Inc. Founded in 1998, Dallas-based Brad Oldham International Inc. (BOII) is a design and manufacturing company specializing in sculpture, architectural features and commercial products that are customized for site-specific installation or created for retail distribution. The three primary business units of the company are site-specific sculpture, features and products for public and commercial projects; limited-edition sculpture for retail distribution for the home and office; and retail products to increase access and awareness of BOII's sculpture and custom products. When the three business units work together, the combined synergy elevation is greater than the sum of the parts. HB0001: 19200 dpi jpeg from digital image by Terry Prather.